Jab vegetable seeds, legumes(फलियाँ), aur grains me ankuran(अंकुरण) produce hota hai, tab wo sprouts kahlate hain. Ye sprouts rich source of nutrition hote hain. Ye physical health aur well-being ke liye best hain. saath hi ye tasty bhi hote hain. Apke khane ke liye sprouts ready hain. Ye fiber quantity se fill hota hai. Inse nutrients hote hain. jaise- Vitamin B, C and K aur iron. Isme antioxidants bhi large amount me hain. Ye cholesterol free hote hain. Inhe aap raw aur cooked kaise bhi kha sakte hain. Inme healthy carbohydrates hain. Ye high source of dietary fibers hain. Saath hi ye Vitamin B-6 ka great supplier hai. Isme thiamine ka rich source hai. Iske saath hi ye iron, magnesium, copper-rich hain. Beans sprouts low in calories hote hain. Inme vitamin C rich hota hai. 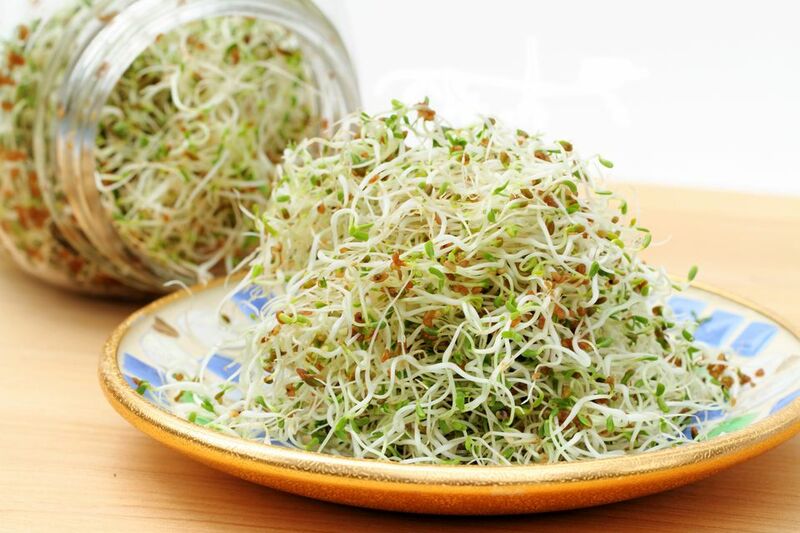 Sunflower sprouts amino acids ke good source hain. Ye hamari body ko lots of vitamins aur minerals provide karta hai. Ye Vitamins like B, D And K se fill hai. Isme minerals like magnesium, copper, iron and potassium present hai. Ye sprouts hulled(छिलका) seeds se bante hain. Inhe raw bhi kha sakte hain. Aap inhe lightly roast bhi kar sakte hain. Ye dietary fibers extremely rich hai. Inme fat loew hota hai. Ye minerals and vitamins ka rich source hai. Proteins plenty quantity me hain. Radish sprouts Vitamin A, B, C, E, K and amino acids se fill hai. Doston, dekha aapne sprouts aap many types ke bana sakte hain. Ye aapko healthy rakhte hain, Ise aap apne ghar par hi easily aur kam time me ready kar sakte hain. Bas ek raat pahle seeds ko clean water me bhigo den, aur 2nd day inhe clean kar raw ya other vegetables ke saath mix kar bhi kha sakte hain.